The Arizona desert is a hostile environment filled with thorny plants and lots of nasty critters such as rattlesnakes, scorpions, centipedes, Gila monsters and more. 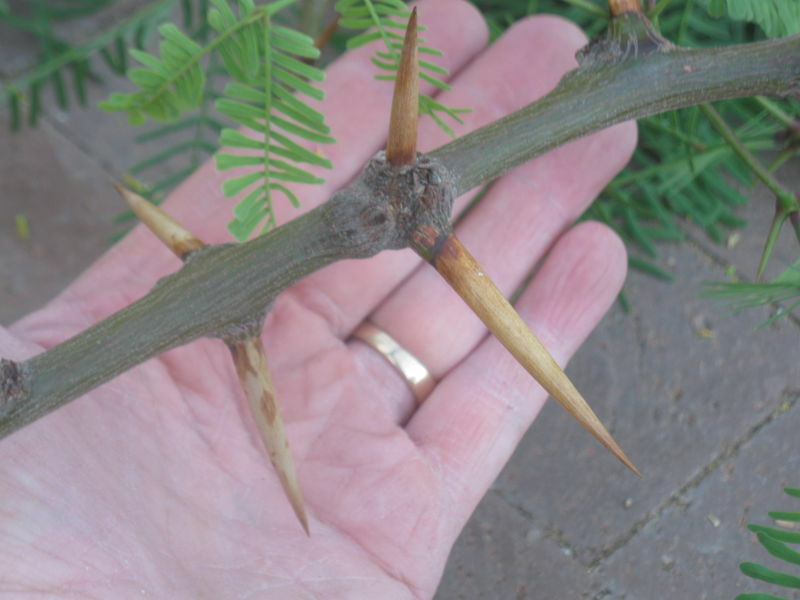 I have a Mesquite tree in my back yard that I dread trimming because I know every time I go out there it's going to hurt. It occasionally drops branches that are hard to see if you are not watching where you walk. I have stepped on these numerous times and last year had one break off in my foot and I had to have surgery to get it removed. 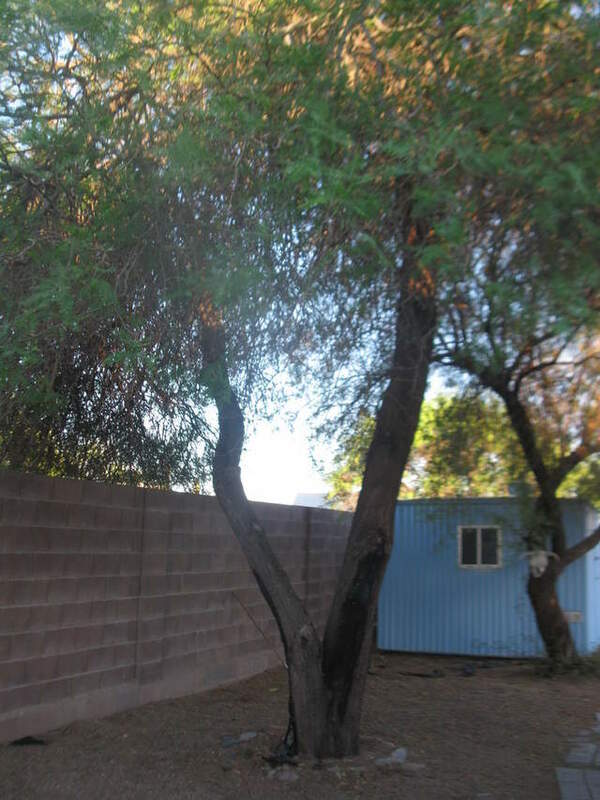 All 3 of my kids have been nailed by this tree and now don't go on that side of the yard. I had to do battle today with this tree and once again, I lost. The only payback I have is using the branches for firewood and on the grill. Cut it down and replace it with something reasonable? I stepped on a branch at a nursery i was at in Indio a few weeks ago...went right through my red wings into my foot. Hurt like a mother... There are thornless varieties of that species now thankfully. There are some who call me... 'Tim'. SHeesh, that thing means business. What the heck would eat that thing that's it's protecting itself from? - never named a car before, but this is Charlotte.